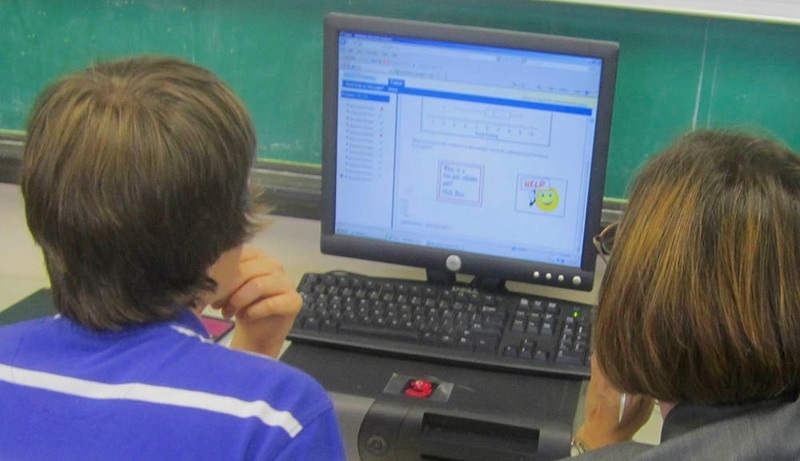 Fifteen years ago, when Neil Heffernan began developing the online math homework system ASSISTments, he knew he faced an uphill battle in presenting his program to skeptical school districts. Administrators, teachers, and even parents are wary of pricey computer-based “ed-tech” programs that are not proven to produce reliably measurable results. He knew that even though ASSISTments is offered free, he would need proof that his program was different and that it worked. Results of a randomized control trial conducted in public schools in Maine and published today in the journal AERA Open by the American Education Research Association clearly quantify the program’s benefits: “Students in schools using ASSISTments scored approximately 75 percent higher than students in schools that were not using the program,” says Heffernan. The study conducted by SRI Educational Research stemmed from a $3.5 million grant from the Institute of Education Sciences (IES) of the U.S. Department of Education, which awarded to SRI in 2012 to evaluate the effectiveness of ASSISTments for mathematics homework. The University of Maine assisted with the study by conducting classroom observations and other research. The study examined test scores of 2,850 seventh graders at 43 public schools in the state of Maine, which has provided laptop computers or iPads to 7th and 8th graders in all schools across the state since 2002 under a program begun by then-governor Angus King. Schools were matched in terms of demographics and socio-economic status and then randomly assigned by SRI to the test group or control group. According to national data provided by test publisher McGraw Hill, TerraNova scores generally increase by an average of 11.66 points per year between 6th and 9th grades. In the Maine study, however, students using ASSISTments scored an average of 8.84 points higher than those in the control group. Presuming the control group in Maine met the national average, the added 8.84 points gained by students using ASSISTments is a large and meaningful effect. ASSISTments allows students to receive immediate feedback as they complete their homework. Notably, ASSISTments proved most beneficial for students who began the year with lower math scores—which is perhaps the most rewarding finding for Heffernan. In addition, teachers reported they found the system easy to implement, in part because it fits within common school policies for homework. Using ASSISTments doesn’t require them to change their teaching or their pacing through topics, or adopt new textbooks. Teachers assign homework in the platform to match their needs. “Technology is the amplifier” of teacher interactions with students, “and the SRI study shows it can be a very powerful amplifier,” says Heffernan, who got the idea for ASSISTments after watching his then-fiancée Cristina Lindquist tutor a student. In response to the student’s attempts to solve problems, Lindquist (now Cristina Heffernan) provided coaching and hints that helped the student better understand his missteps, prompting him to rethink his approach and make better progress. Heffernan videotaped the interactions and analyzed the series of steps both tutor and student took. ASSISTments has been used by 100,000 elementary, middle, and high school students across the U.S. since 2002. Heffernan and colleagues have received more than $16 million in funding over the past decade to develop, implement, research, and update the system. They are currently working to expand ASSISTments to include crowdsourcing as a tool to involve more teachers and researchers in the development process. In addition, WPI will provide ASSISTments with funding to support two more programmers to help expand its reach. Aside from nominal training and set-up fees to cover the team’s expenses, ASSISTments is available as a free public service of WPI. For more information, go to www.assistments.org.